The much-anticipated Summer Harvest Week at Motor Supply kicks off tonight at Meet the Farmer (and the Chef!) Happy Hour, 5:30-7:00, and Mike Allen from local radio station 92.1 The Palm sat down with Motor Supply’s Executive Chef, Wesley Fulmer, to discuss what’s in store for this week. The sixth biannual farm-to-community event, June 10-15, 2014, will celebrate 11 of Motor Supply’s local farming partners. Fulmer, who has worked to build an even stronger bond with the Midlands' sustainable farmers since he became the Executive Chef in February, has a real passion for honoring the progressive work these local farms are doing. Motor Supply will create a variety of fresh, farm-to-table dishes for each night during Harvest Week, as well as some unique cocktails, also inspired by these local farms. Looking for more? Get the scoop on Summer Harvest Week at Motor Supply, June 10-15, grab a sneak peek at the Harvest Week cocktail list, debuting tonight, June 10, at Meet the Farmer (and the Chef!) 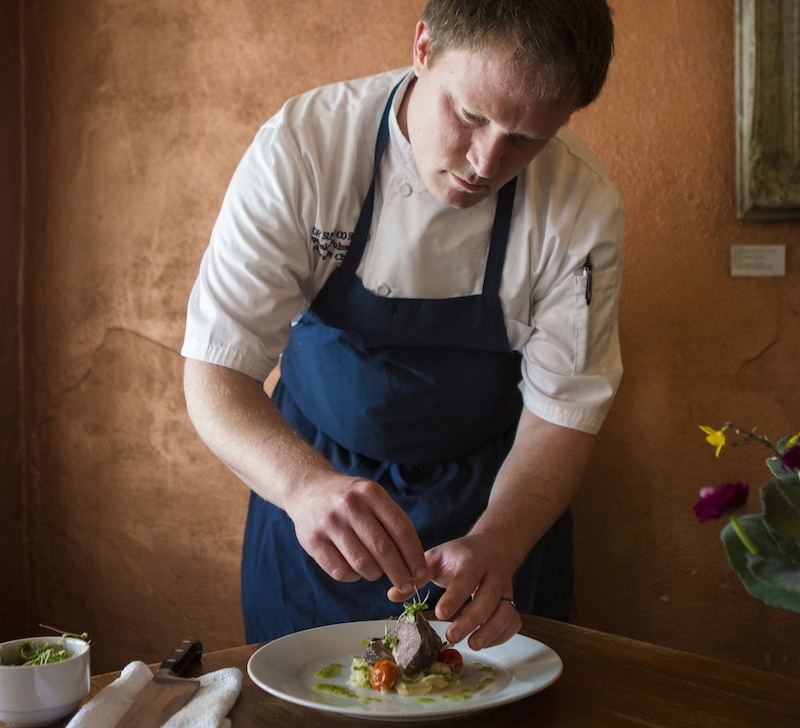 Happy Hour, 5:30-7:00 p.m., learn more about Executive Chef Wesley Fulmer, and make reservations.